"We've always assumed that the microbiomes of infants were the same everywhere, and that differences came later in life," says senior author Silvia Turroni of the Department of Pharmacy and Biotechnology at the University of Bologna in Italy. 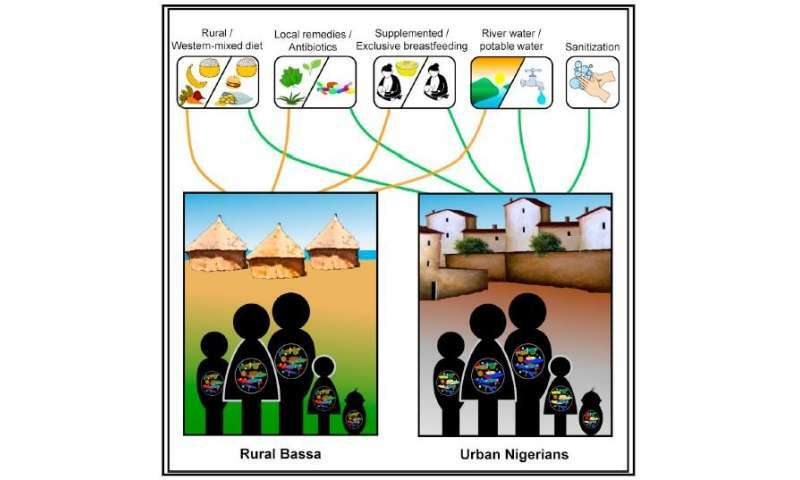 "We were surprised to find that the microbiomes of infants living in rural areas were missing components that we have long believed were standard to all infant populations—especially that they were essentially devoid of Bifidobacterium." Bifidobacterium dominates the microbiomes of Western infants and has been considered a key element to healthy growth and development.